In assessing what the referendum result signifies, the first thing that ought to be explored is how the result came about. The result was hailed as representing a “seismic shift” in public attitudes to abortion. The Taoiseach remarked that the result was the culmination of a “quiet revolution” that had been growing in momentum for some time. Most of the analysis and commentary surrounding the result was premised on the idea that the referendum took place following a thorough and exhaustive debate where voters were given every reasonable opportunity to weigh the arguments from both sides before deciding which way to vote. Would that it were so. The truth however is very different. For years the discussion on abortion in Ireland has taken place in a very one-sided fashion. We’re told to trust women, but only some women. Trust doctors, but only some doctors. Trust headlines, but never ask what stories have been buried. Now that we’re on the other side of the referendum, I would suggest it’s time for us to stand back and have a more honest appraisal of how we address the issue as a country. Regrettably, the case for repeal was amplified and aided at every turn by large sections of the mainstream media while the arguments put forward by the pro-life side were constantly ridiculed, ignored or treated with suspicion. There’s a lot of statistical evidence to support this claim – for example the one month period on RTÉ Radio 1 when 81 minutes were devoted to the pro-repeal side and just 4 minutes to the pro-life side. And there are countless other examples. Over a single week on Newstalk, there were 52 minutes given to the pro-repeal side and just 20 minutes for keeping the Eighth. Or a random week in our national newspapers where 18 pro-repeal opinion articles were published and not a single pro-life article. So it’s not surprising that so much undermining of the pro-life position finally took its toll. The “quiet revolution” that the Taoiseach referred to was really a revolution that quietly shut out one side of the debate almost entirely. Statistics are one thing, but what’s been most startling over the last few months has been the hypocrisy of a debate that congratulates itself as being inclusive when in reality there is constant, determined exclusion of anyone whose experience didn’t fit in with repeal. When Dr Peter Boylan described the Eighth Amendment as a “failed experiment” and depicted it as something which had never done any good, a student, Gavin Boyne, stepped up to say that his life was saved by the fact that the Eighth Amendment had kept abortion out of Ireland. His life is no “failed experiment”. It’s quite something to see a young person being courageous enough to enter the fray and make a statement like that. He deserved the chance to tell his story but was ignored by the media – just like all the parents who had similar stories to tell about how the time it took to make travel arrangements for an abortion was the time they needed to change their mind and keep their child. Their testimonies were hugely relevant but they were excluded from the debate almost entirely. Or how about when Dr Fergal Malone, Master of the Rotunda Hospital, described parents whose baby receives a positive test result indicating Down syndrome as “the unfortunate few”? People like Monica Haderean and Sinead McBreen and other parents who have children with Down Syndrome were horrified. But there was little or no scrutiny or probing of Dr Malone’s comment. 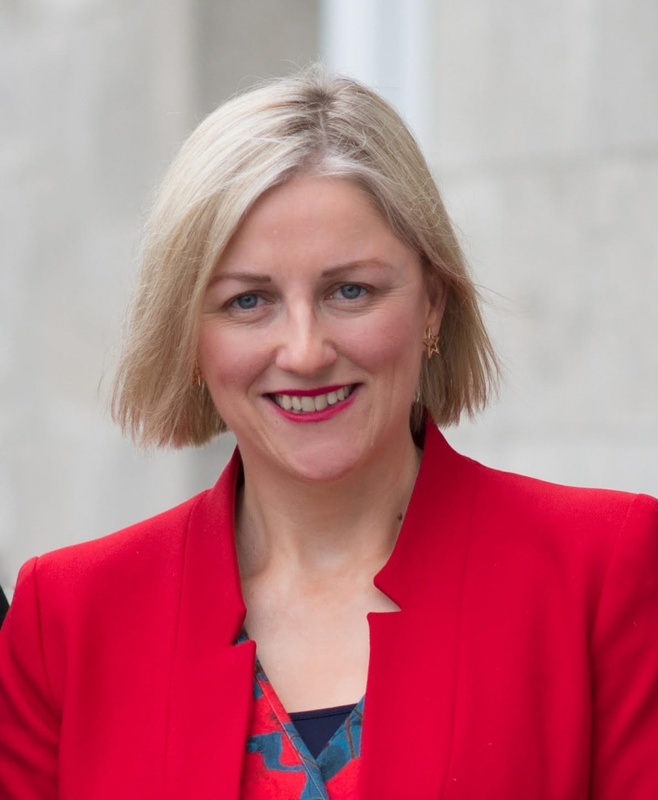 Similarly, when the subject of adoption was brought up in the Oireachtas Committee, Kate O’Connell TD asked if we were going to have “a Handmaid’s Tale situation here, where women in crisis pregnancies will be detained, forced to become parents, and used as a source of supply of babies to childless people”. Facetious and hurtful comments like these had no place in the debate but more and more it felt like any abuse would be tolerated from pro-repeal advocates rather than challenge them and run the risk of weakening their case. Or what about the story of Ms C? Her high profile case was referred to on a daily basis during the referendum campaign as an example of why we needed to vote for repeal. This was despite the fact that Ms C publicly pleaded with politicians and other abortion advocates to stop using her case to bring in abortion as she deeply regretted her own abortion which had a devastating impact on her life. Where was the media platform during the campaign for women like Ms C and the countless other women who are living with the pain and heartbreak of abortion and wanted to tell their stories. Aside from a handful of low profile interviews their stories were airbrushed out of the debate. This attitude can’t continue, or we risk turning into a country where abortion becomes something that can’t be questioned and we abandon even the most basic respect we should have for each other. No one can deny that the primary focus of the media coverage during the build-up to the referendum was on the so-called “hard cases”. There’s no question this in turn helped create the false impression that the vote was about allowing abortion in these situations and little else, as opposed to the reality which is that Ireland is set to have one of the most extreme abortion laws anywhere in the world, where all meaningful protections for unborn babies are obliterated. We now know what the words “compassion” and “care” were referencing on all those “YES” posters and we need to ask ourselves if we’re prepared to adopt this “nothing to see here” approach to abortion. Or are we going to be brave enough to honestly examine what legalised abortion is going to do to our country? What of the third of voters who voted to retain the Eighth Amendment? Well, for a start, genuine freedom of conscience is soon to be outlawed. Health Minister Simon Harris has made that abundantly clear. Compelling healthcare professionals who don’t want to perform abortions to refer women to doctors who will is, I believe, unconscionable. What’s the difference, I ask, between handing a person cocaine and arranging for them to get it from someone else? There’s no essential difference – the end result is the same – the person looking for the cocaine gets it, thanks to the part you’d have played either way. The same is true with abortion. Pretending that freedom of conscience is protected by not forcing a doctor to carry out the procedure is a nonsense when the State is still coercing that same doctor to refer the woman to a colleague who will oversee ending the life of her baby through abortion. What the Government are proposing is a colossal attack on human freedom and the right of an individual not to be forced to participate in something that goes against every fibre of their being and everything they stand for. This assault on freedom of conscience by the Government must be opposed every step of the way. Otherwise, the notion of conscientious objection will be set at naught in Ireland. We cannot agree to that. It is regrettable the way Leo Varadkar and Simon Harris have publicly disparaged doctors and nurses seeking to exercise freedom of conscience. The Taoiseach was quoted recently saying that we cannot have situations in the future where a woman is told “you’re on your own love” when trying to access an abortion. What a crass and unacceptable way for our Taoiseach to portray hard working doctors who happen to hold a different view to him on abortion. Simon Harris chimed in a few days later that doctors who say “nothing I can do for you, can’t even tell you where to go” to access an abortion, “they’re not the doctors I know”, he said. Again, what a demeaning and unfair way for a member of government to talk about some of the most compassionate and caring medics in the country. Let’s not pretend that this is just about conscience either. What about those doctors who don’t have a conscientious objection to abortion but who refuse to refer because of a lack of medical evidence showing that abortion is good for a woman’s health? Are they to be vilified under this law for using their best clinical judgement and if we stand by and allow this, then aren’t we all just agreeing to the corruption of our medical profession. That’s the kind of country I think we all want to live in and I believe that we’d be a lot closer to it if abortion hadn’t been the focus for so long. Speaking in Dublin Castle following the result, Leo Varadkar tried to reassure “No” voters that the country is “still the same country today”. But of course it’s not. The Eighth Amendment is gone and the Taoiseach now presides over a country where an entire group of human beings – unborn babies – have no constitutional protection and where the right to life can be decided on a whim by popular vote. There’s nothing enlightened or progressive about that. If anything, it’s a radical drift backwards rather than a step forward. But I don’t think for one minute that the pro-life movement is defeated. There’s no doubt that the result would have been very different if we’d had the kind of debate that gave a fair hearing to both sides. The mainstream media in Ireland won’t change any time soon but the discussion on abortion is not something which comes to an end – for one simple reason – a human being dies in every abortion. 45 years later, the United States is on the cusp of restoring its pro-life laws. As pro-life campaigners in Ireland, we don’t intend to wait that long to achieve our goal, but we’ll stay the course for as long as it takes to restore full legal protection to pregnant mums and their unborn babies. Where there’s life, there’s hope. With abortion, there is no hope, just an irrevocable outcome that I believe betrays both women and their unborn babies. It’s why I’m confident that at some point in the future we will again have a law similar to the Eighth Amendment in Ireland. I for one was very encouraged by the huge number of young people who became involved with the pro-life movement during the referendum campaign and I am very hopeful for the future. Move forward we will because for those who believe that every human being deserves a chance at life, the struggle hasn’t ended. It is simply changed.